When it comes to dogs, this reality star does not do things by halves. 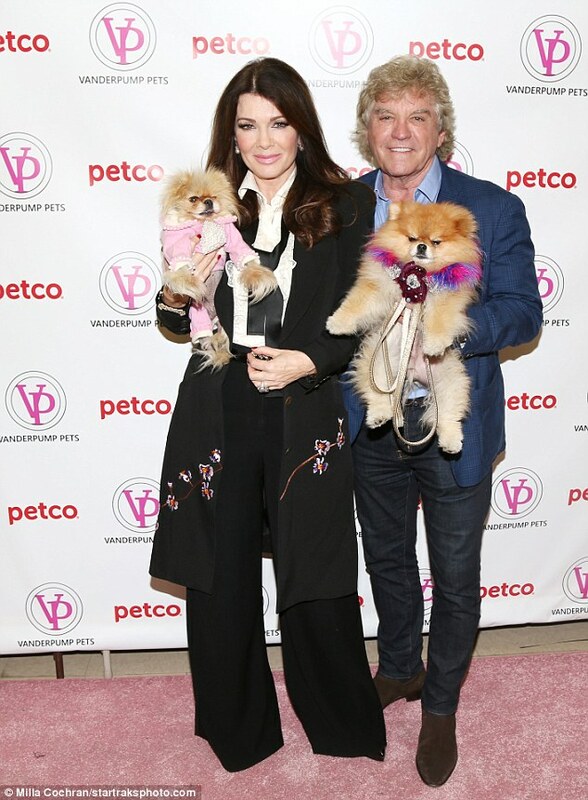 It was a family affair to launch Lisa Vanderpump's new range of pet accessories on Monday. The 56-year-old was joined by husband Ken Todd, daughter Pandora and dogs Harrison and Giggy at Petco in West Hollywood, California. 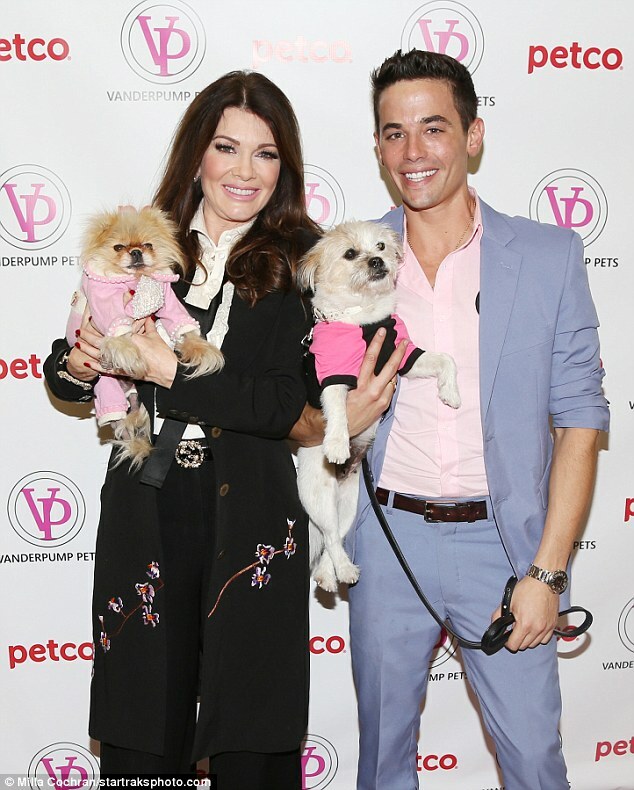 Lisa's Vanderpump Pets is releasing a collection exclusive to the national pet retailer and so her fur and human family all joined her to celebrate and met fans. For the pink carpet pet event, The Real Housewives Of Beverly Hills star stepped out at her event wearing an unusual black suit. The two piece featured high waisted flared black trousers which she paired with a long knee-length coat that had embroidered flowers on it in her favorite shade, pink. The star wore the suit with an open collared white shirt and a black tie which hung loosely over her chest. Of course what Lisa was wearing was not the most important thing at this event - it was what her pampered pooches had on. Both Giggy and Harrison modelled pieces from the collection with Giggy wearing a pink and white onsie with pearl accents on it to help which help keep him warm as he suffers from Alopecia. While Harrison, who also has the condition but not as bad, wore a feather boa-like collar with an iridescent lead. Pandora meanwhile brought someone pretty special to the event - her new puppy. 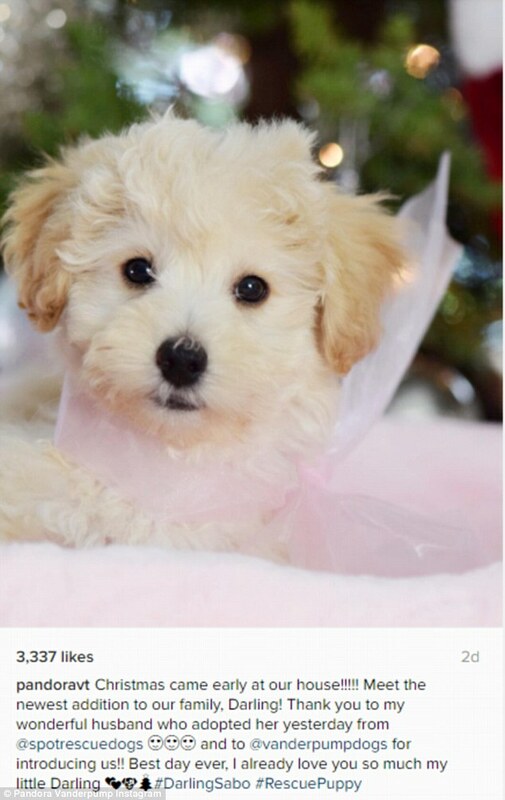 The poodle mix was given to Pandora as an early Christmas present from her husband Jason Sabo. Jason adopted the pooch on Friday from Saving Spot Rescue in West Hollywood and Pandora has dubbed the pup Darling. Posting a picture of their newest addition on Instagram she gushed: 'Christmas came early at our house!!!!! Darling can prepare to get very spoiled by her mom and grandmother, who will no doubt be giving the dog lots from the Petco and Vanderpump Pets collection. The new range includes toys, clothing, beds, blankets, carriers, collars and leashes.